Justin Bieber launches his second perfume dedicated to his girl fans. The fragrance is named Girlfriend. 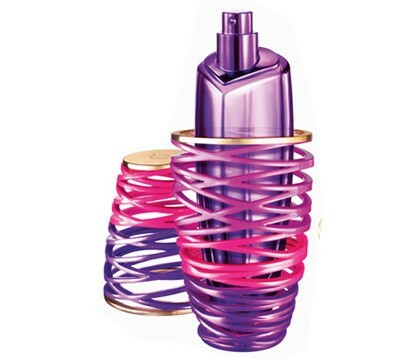 Girlfriend fragrance is described as a flirty, personal and inviting. Top notes are designated to represent a Chance in love and provide an exciting splash of mandarin, blackberry, pear and strawberry. The heart is marked as Dream and includes accords of pink freesia, star jasmine, apricot and orange blossom. The base is a Kiss, containing sensual notes of vanilla orchid, luminous musk and white amber. It is recommended for a casual wear.